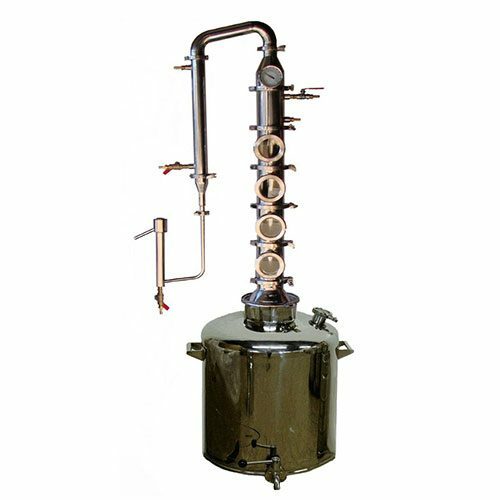 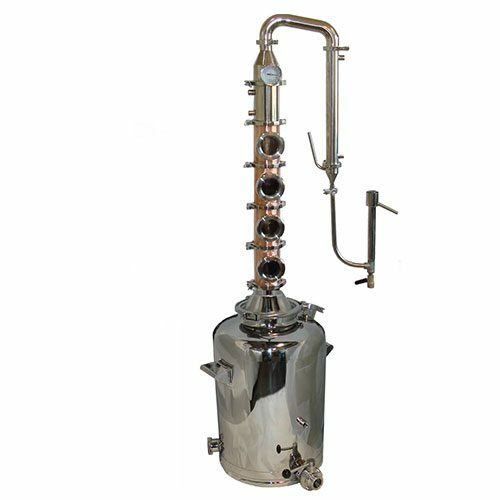 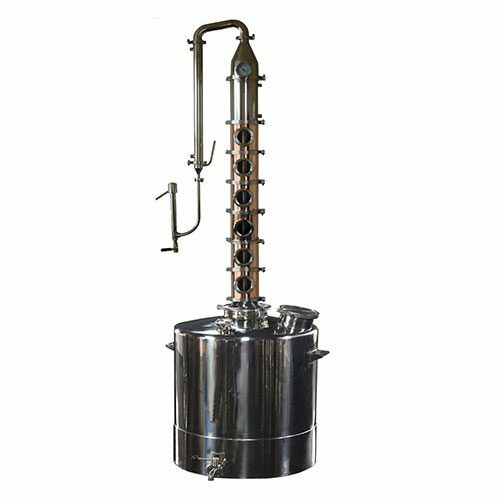 Copper and Stainless Flute Stills for Sale. 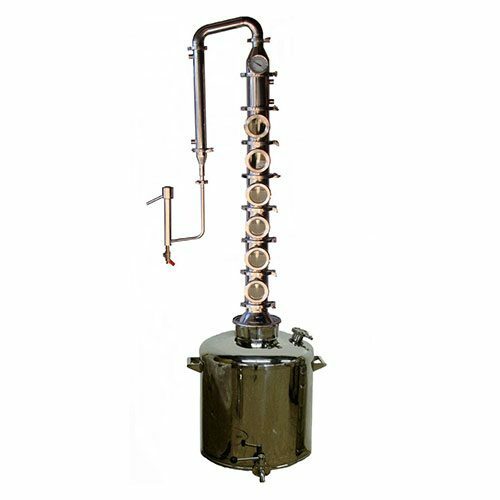 Flute Stills are sectional distilling columns with copper plates in between each section. 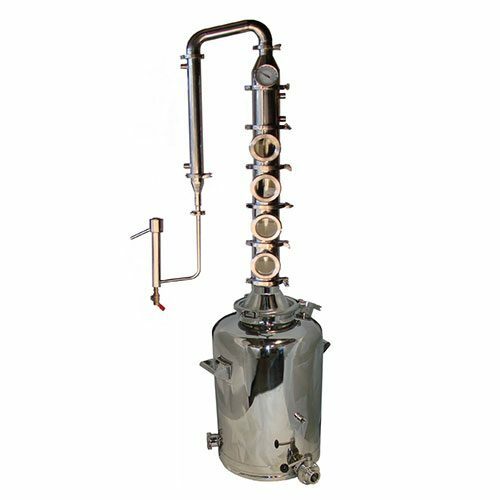 Each section has a three inch viewing window. 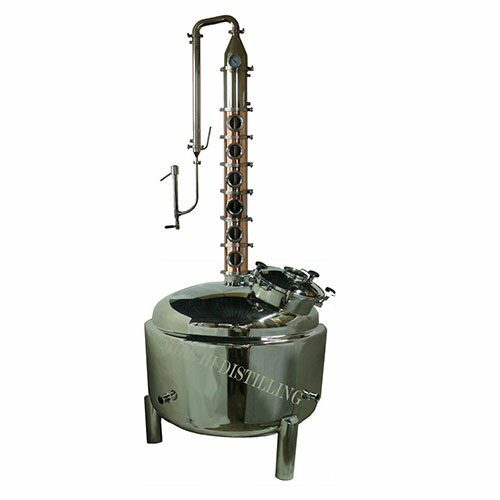 The flute sections are made of copper or stainless and go together with tri-clamps and gaskets. 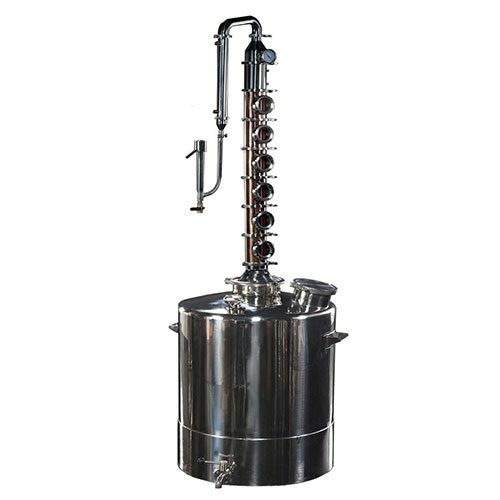 This modular design allows the distiller to take plates out of some or all of the sections to run spirits like whiskey, rum, and brandy where flavor carry over from the wash is important. 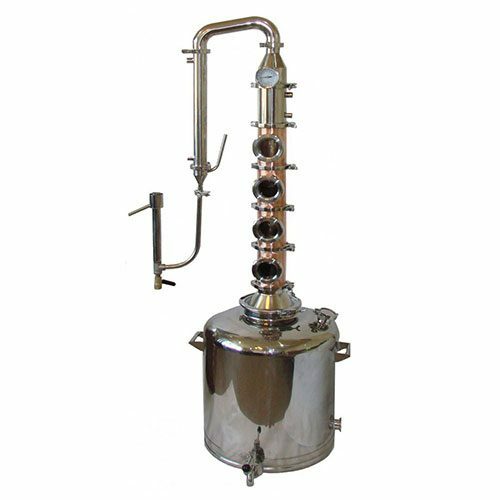 The flute still will also produce high percentage neutral spirits like vodka by keeping all the plates in and by adding more sections. 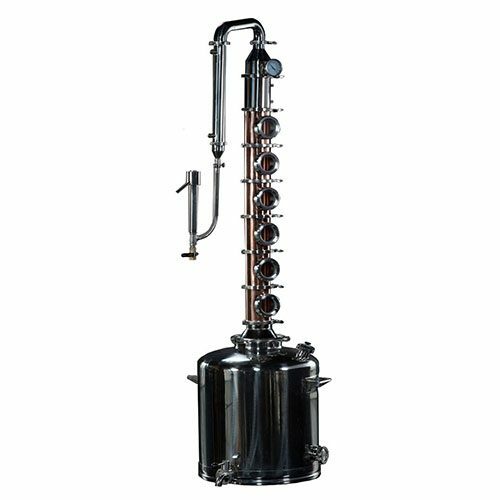 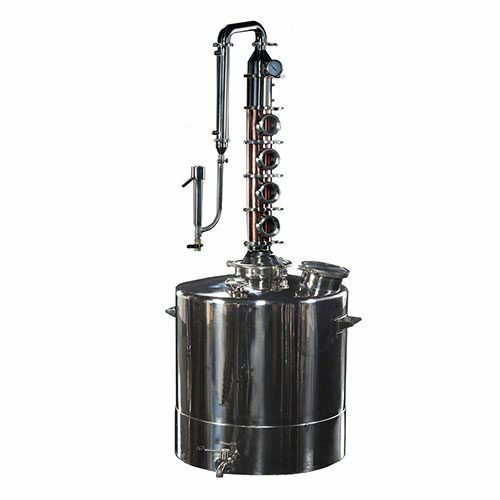 These sectional stills will also give the distiller the option to add in an infusion chamber to house botanical for a gin or add fruit for fruit infusion. 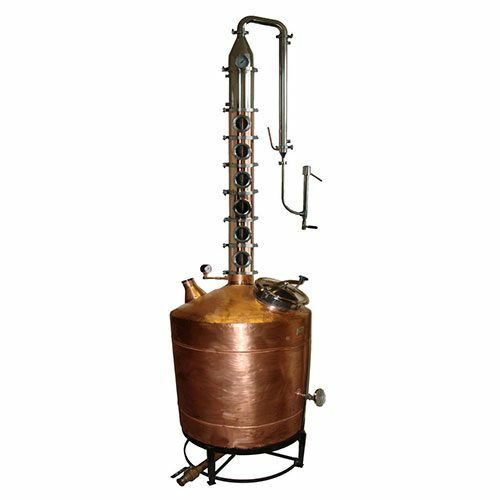 This infusion basket is as easy as clamping in a sight glass with screened gasket. 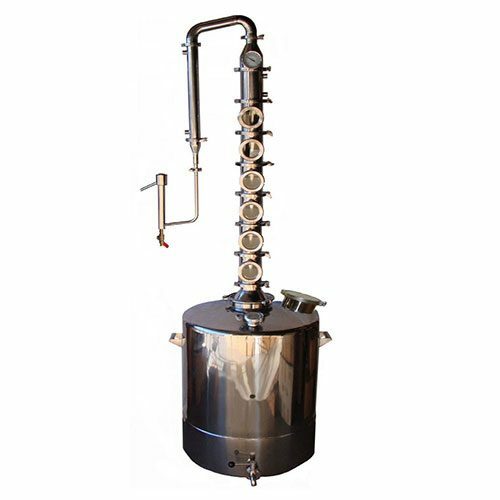 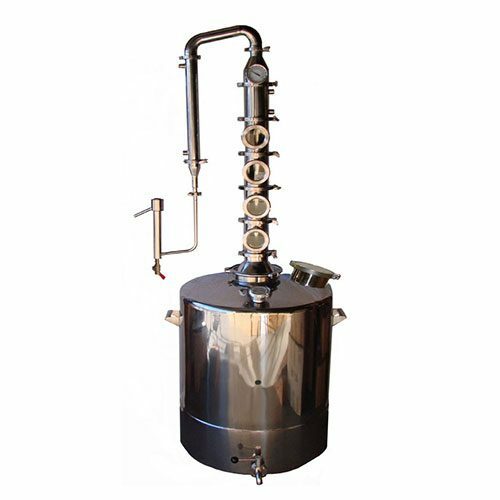 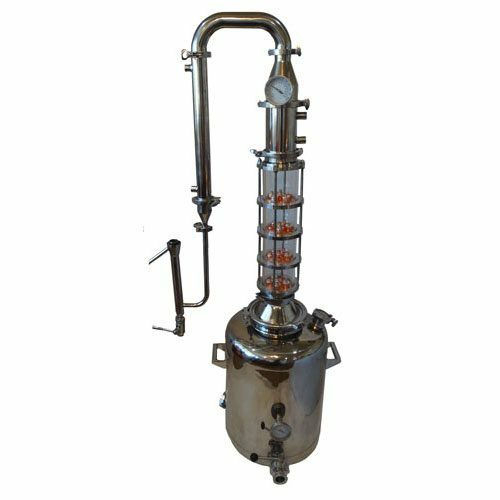 We sell beautiful sectional stills and stainless sectional stills from 4 inch diameter up to 8 inch diameter. 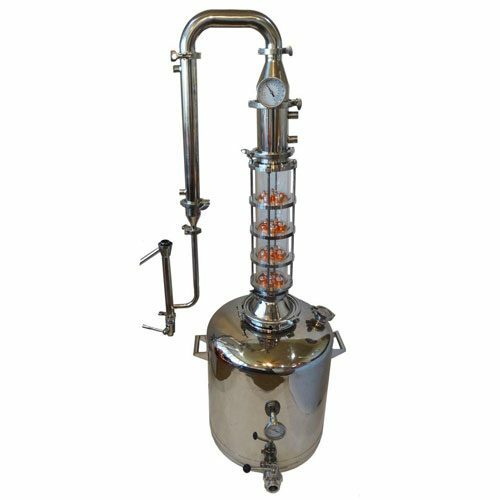 Bubble Caps-vs-Perforated Plates With Down Comers for your Flute still.